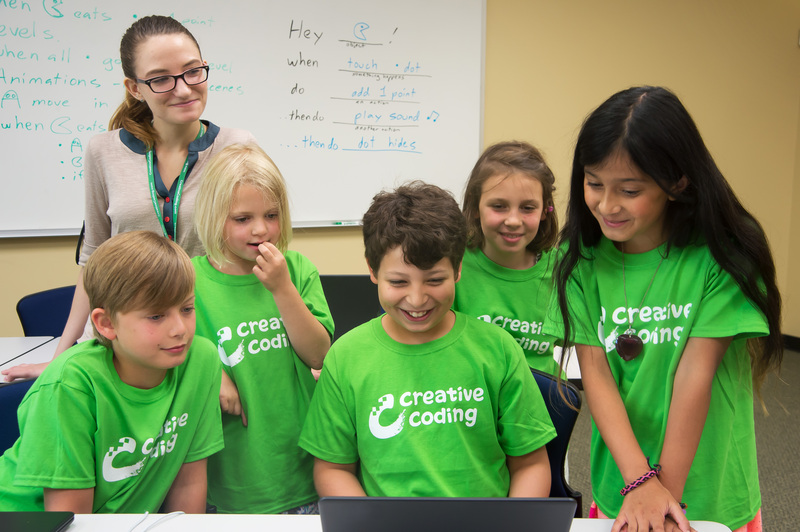 Since the first camp in 2013, Creative Coding has been helping kids discover the joys of computer coding. By using the best educational tools available and giving students the freedom to make what they want to make, young coders find that learning to program computers at their age is more than just possible; it’s fun! In after school classes, summer camps, and other special events, Creative Coders learn to plan, solve problems, and think like a computer. 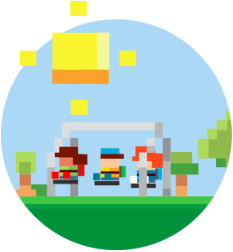 Each course they level up their skills and get the chance to create more awesome games and animations. Our enthusiastic and well-trained teachers guide each student on their own personal journey to bring their ideas to life through the power of code! 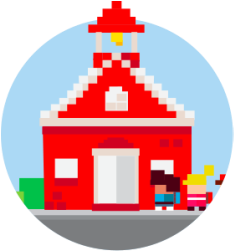 Join us when the bell rings for an afternoon of coding fun at your school! A full week of creativity and fun! This is a great camp for kids at any level. Book us for your 'bring your kids to work day' with our corporate camps! Technology shapes our future. 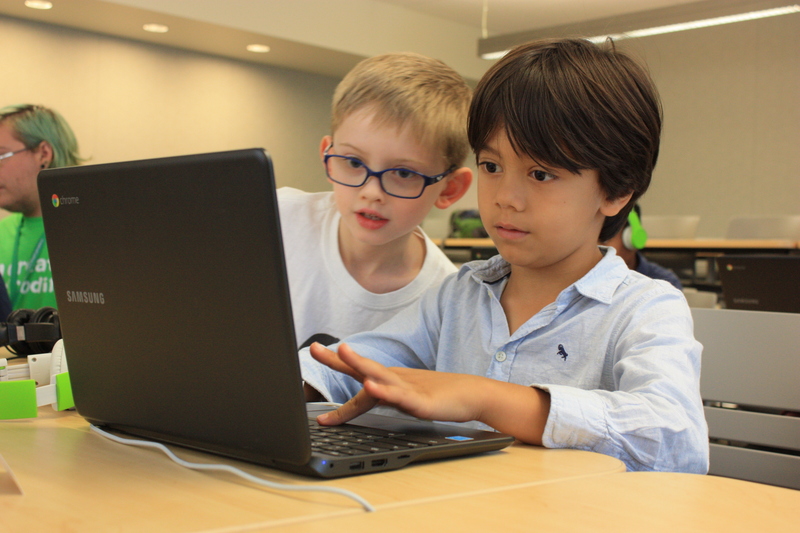 Teaching coding to kids gives them the tools to build that future. Coding can be complicated, but we break it down. We teach the building blocks that underlie all programming languages. 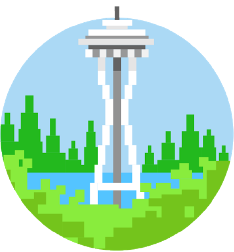 Creative Coding offers fun and fulfilling classes with trained, passionate teachers. Students have the freedom to create what they want and watch their imagination come to life. "My son couldn't stop talking about everything he'd learned... he had so much fun!" "My son says this is the best summer camp he's ever taken, and we've taken a lot." "This class is amazing. It's incredible what these kids are learning, and they're having fun! That's the key!"